An employee places marijuana for sale into glass containers at The Station, a retail and medical cannabis dispensary, in Boulder, Colo., Thursday, Aug. 11, 2016. The DEA announced Thursday, Aug. 11, 2016, that the Obama administration will keep marijuana on the list of the most dangerous drugs, despite growing popular support for legalization, but will allow more research into its possible medical benefits. MACON, Ga. — Medical marijuana supporters in Georgia were hoping for something different from the federal government, not its recent ruling that cannabis should remain off-limits. Georgians like Janea Cox of Monroe County want to be able to get medical cannabis just like other prescriptions instead of breaking the law to seek therapies for themselves or their loved ones, The Telegraph reported. It was difficult to hear news of Thursday's ruling from the federal Drug Enforcement Administration, Cox told the Macon newspaper. The agency decided that marijuana will remain on the list of most dangerous drugs, which includes heroin and LSD, The Associated Press reported. Cox's daughter Haleigh, 7, takes a liquid made in part from cannabis to treat the symptoms of a severe seizure disorder that can stop the little girl's breathing. She said her daughter now sometimes goes days without a seizure, is learning things and can sit up on her own. "Get past the stigma," Cox told the Macon newspaper. "Our kids are not smoking this. It's an oil and it's saving our kids." Blaine Cloud, a father from Smyrna, and his wife Shannon Cloud are among the most vocal medical cannabis activists in Georgia. Their 11-year-old daughter Alaina has used medical cannabis for a seizure disorder. "They say it has no medical benefit, but there is proof all over the world that it does," Blaine Cloud told The Telegraph. The Drug Enforcement Administration said its decision came after a lengthy review and consultation with the Health and Human Services Department, which said marijuana "has a high potential for abuse" and "no acceptedmedical use." 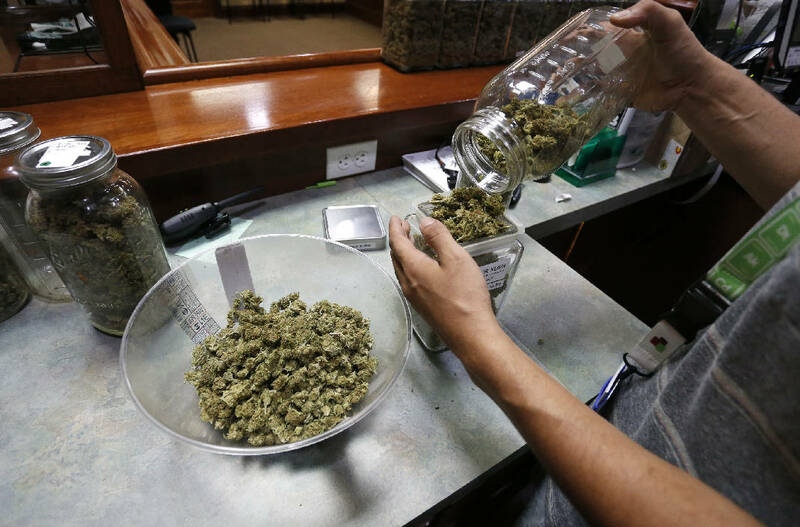 The decision means that pot will remain illegal for any purpose under federal law, despite laws in 25 states and District of Columbia that have legalized pot for either medicinal or recreational use. The author of Georgia's medical cannabis law, state Rep. Allen Peake, R-Macon, said it's time for the state to make sure residents can get safe, regulated medical cannabis under the oversight of doctors. "To me it's pure insanity to continue to say that there is no medicinal value in a product that has been recognized by at least 25 states. to have some medicinal value," said Peake, referring to states that allow medical cultivation. Cultivation has been a hard sell in Georgia. In hearings over the years at the state Capitol, some of the state's top law enforcement officers have argued that they cannot endorse breaking the law and if cannabis has medicalvalue, then it needs to be proven through trials just like any other drug. Some also say medical grows would be used to cover illegal recreational grows, and medical cannabis could be a slippery slope to the recreational kind. Republican Gov. Nathan Deal has been an opponent and has said he's not convinced Georgia could control in-state cannabis cultivation. Nationally, the Obama administration's position on marijuana started to ease in 2013, when the Justice Department notified Colorado and Washington that it would not interfere with state laws so long as the drug was kept out of the hands of children, off the black market and away from federal property, the AP reported. Colorado and Washington were the first two states to legalize pot for recreational use and sales. Advocates saw that policy statement as the first step to an end of the federal prohibition of marijuana. But that hope was quickly diminished as administration officials, including the head of the White House-run Office of National Drug Control Policy, repeatedly said publicly that they still considered marijuana a dangerous drug that had no place in the legal market, the AP reported. Thursday's announcement was seen as another blow to those hoping the federal government would change pot laws.